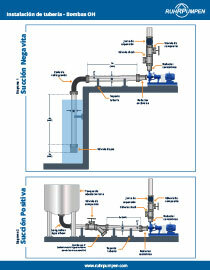 General procedure for horizontal pumps. 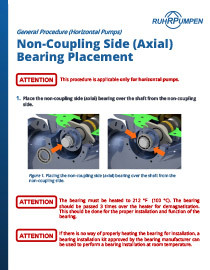 While its purpose is simple, when a bearing fails, it can cause problems and even compromise the pump's life. Drawbacks can be avoided by following this simple procedure. 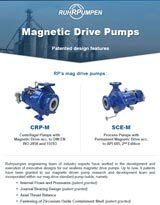 General procedure for centrifugal pumps. 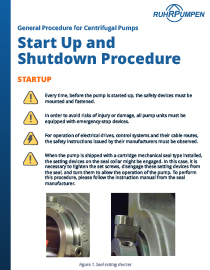 The startup and shutdown of a pump require some special considerations that must be taken into account to avoid any problem. We share a practical checklist with the basics. 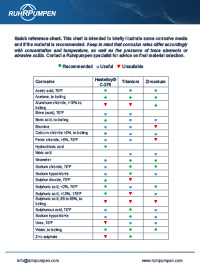 General procedure for centrifugal pumps. 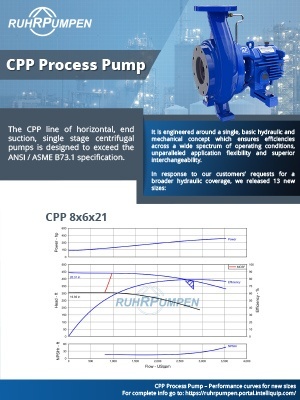 Priming of a centrifugal pump is an essential step before operation. 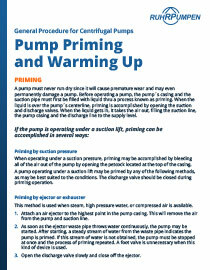 This document gives advice to prime and warmup your pump. General procedure. The proper maintenance of constant level oilers should be an utmost concern for the proper operation of your process pumps. 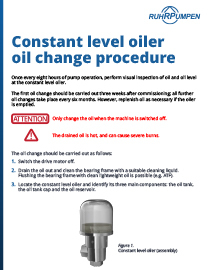 Our team of experts created this document explaining the oil change procedure. General procedure. 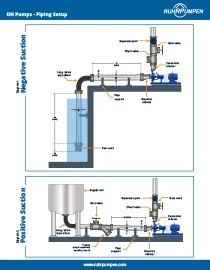 We explain the correct procedure to install and tighten the packing strips and packing gland on a centrifugal pump and how to determine the adequate leakage rate that must be provided to them so that they operate at optimal capacity.